I do not know how many Space NK UK fans are reading this but there’s a free £10 voucher (no purchase necessary) that I wanted to share. If you are shopping at Space NK USA and wanted to grab the 15-Pc Space NK Essential Gift, there are over 50 new items just added today! Sephora fans, there’s a new Huda Palettes you have to see plus new Sephora VIB coupon and more! Space NK UK (NEW) If you are a subscriber, make sure to check your email “Spring is in the air at Space NK”. When you click “KEEP ME SUBSCRIBED”, they will immediately send you an email for free £10 voucher, no minimum purchase required! Space NK UK exclusive. (NEW) New gift with purchase offers here. Space NK US (NEW) just launched over 60 new arrivals including new By Terry Sun Designer Palettes $55, Hourglass Veil Retouching Fluid $34, Oribe Mystify Restyling Spray $22, Beautyblender BBF Kit $40, Diptyque Eucalyptus Candle $65 and so much more! See New In. 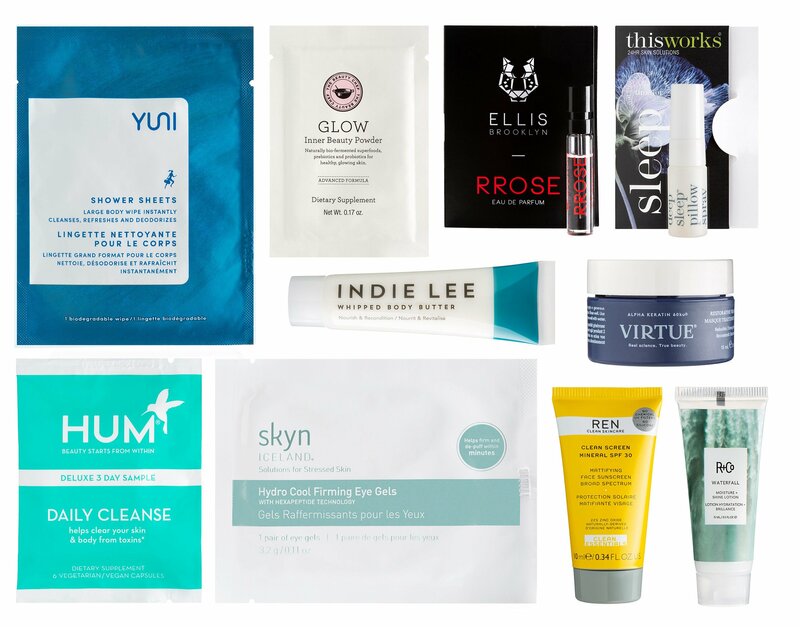 Still avaialble: with any $165 purchase, you’ll receive a 15-pc Space gift bag valued at over $200 use code ESSENTIAL18 at checkout (reviewed here). Spend an additional $30 you’ll receive the added bonus of 111SKIN CELESTIAL BLACK DIAMOND CREAM (0.53oz) worth over $300. 111Skin Celestial Black Diamond Cream full size is $1,095 for 1.7 oz. I have a review post of 111SKIN CELESTIAL BLACK DIAMOND CREAM here. Sephora and Sephora.ca (NEW) HUDA BEAUTY Obsessions Eyeshadow Palette in Coral or Gemstone $27 (or at Cult Beauty 25 Pound) – available in store 5/21. (1d) Use promo code MISTME to choose a free 8pc makeup and fragrance sample with your $35 purchsae – see what’s in the Sephora sample sets here. (1d) Receive 3x points on any fragrance purchase, ends 5/13. (2d)(HOT) offers free facial worth $100 with any $75 in-store purchase – find your stores or book now. (5d)(VERY HOT) Mother’s Day 2018: Mother’s Day Give One Get One promotion on eGift Cards! Buy a $100 egift card and receive a free $20 bonus card. (NEW) See Sephora promo code page here. Use promo code VIBZEN to get a free 3 deluxe gift on any $35 purchase, VIB and VIB Rouge exclusive. (Upcoming) There are new items in the SEPHORA Rewards Bazaar, you can use Sephora points to redeem for free. Pick three free samples with any purchase (no minimum) here. See Sale page here. See Sephora Weekly Wow Deals. See all available kits at Sephora Favorites. I’ll have spoilers for the next GWP and beauty box including new Sephora Favorites available at https://icangwp.com/clinique-estee-lauder-lancome-gift/ later on tonight, stay tuned! Can you please make a screenshot or describe where to find it? Hi Julia, I was just added the screenshot! Really, thanks for sharing that. Hmm it’s for non-Europe zone, may be? Interesting. I’ll keep checking their next email!